Huge and modern businesses often use the integrated CRM system to avail simplified business solutions. Out of the several CRM systems available in the market, two of the CRM solution are liked and used by top growing organizations as it helps building them the roadmap to success. Professional developers have made SugarCRM and Vtiger CRM solution as their choicest preferences due to the huge feature list attached to both the platforms. Business owners may get confuse when they have to select any one from both. Whether to get a Sugar CRM development solution or a Vtiger CRM development solution will be decided once the business requirement list is analyzed thoroughly. Deciding from the two most impeccable CRM solution is a terrifically difficult task. Let us know what makes these two CRM solutions awesome. Note: The above sentence does not signify that SugarCRM cannot be used by small or mid-sized businesses! This open source CRM solution is widely used in the modern businesses growing intuitively. Today’s modern systems expect a solution to simplify crucial and complex business needs. SugarCRM is a customizable and flexible CRM solution that can be tailored given the specific business requirements. With other extensive features, it makes the business function smooth and seamless. Businesses aiming at improving customer satisfaction, making business processes like marketing, sales etc. efficient, use SugarCRM solution to avail desired success an enhanced ROI. How it Helps Huge Enterprises? Being highly flexible, SugarCRM custom solution simplifies the requirements of huge businesses. It is affordable, so does not impact much on the company’s budget as big companies has sufficient budget for such software. It is easy to integrate and use, thus less training sessions are required to train the users, saving valuable time and money of huge enterprises. Huge businesses can own the CRM solution completely, no third party control is necessary. Complete control over the database, thus unauthorized access does not disturb the customer database security. Note: Vtiger CRM is mostly focused to medium and small sized enterprises! Open source Vtiger CRM development is generally used by small and medium organizations to fulfill their vital requirements. Small business owners seeking a solution for increasing business productivity selects Vtiger CRM solution due to its unbeatable feature list and myriads of tools. Business processes like marketing automation, support and service etc. can easily be managed. Small and midsized companies imply Vtiger CRM solution aiming simplified business processes and enhanced customer satisfaction. How it Helps Small and Medium Sized Enterprises? It is easily adaptable to the enterprise size. Mid-sized enterprises prefer Vtiger CRM as the perfect solution for their complex business processes. Numerous plugins and add-ons make CRM solution highly impeccable for small businesses. They get easily integrated with the business system and generate desired outcome. It is a cost effective CRM solution to prevent financial imbalance of the small and mid-sized companies. Seamless access to the cloud based CRM solution, irrespective of location access. 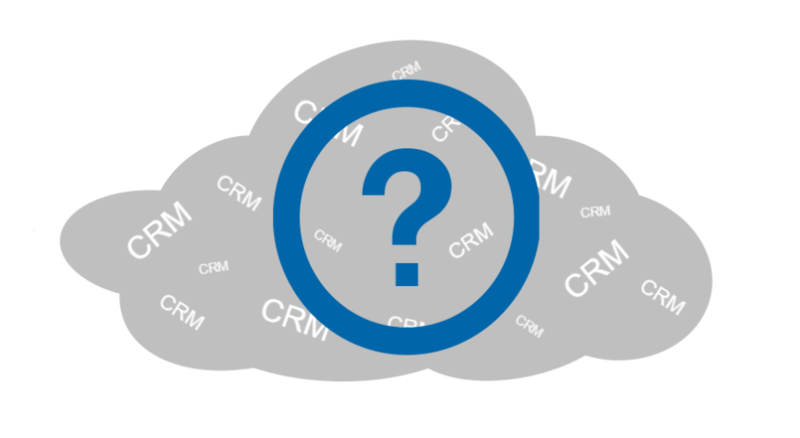 Which to Select From the two leading CRM Systems? Either to select SugarCRM or Vtiger CRM solution depends on the size and requirements of the company. Better to consult the service providers having good track record of serving efficient and reliable CRM solutions. Get your business a CRM solution that simplifies complex processes and enhances customer satisfaction.